I’ve been bitten by the bug: knitting for myself! I have been ruined. Well, it’s not me that is suffering, but the rest of my family. Since the luvinthemommyhood Tops, Tanks and Tees Knit Along that I took part in during the spring I have been bitten by the bug and am loving knitting for myself! A while back I had a bit of time on my hands in the evenings so I thought I might have a go at knitting another garment for myself. 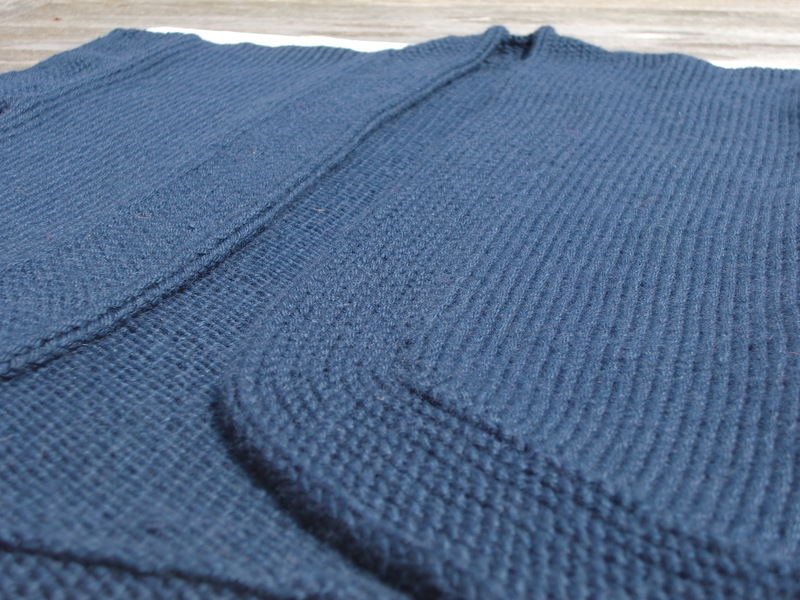 The Abalone cardigan cropped up a couple of times during the last KAL and it was on my list of things to knit. Best of all, I had enough yarn in my stash to make it – bonus! That should please the husband as I think he was more than shocked at the amount of yarn that I own and I’ve only been knitting for two and a half years! 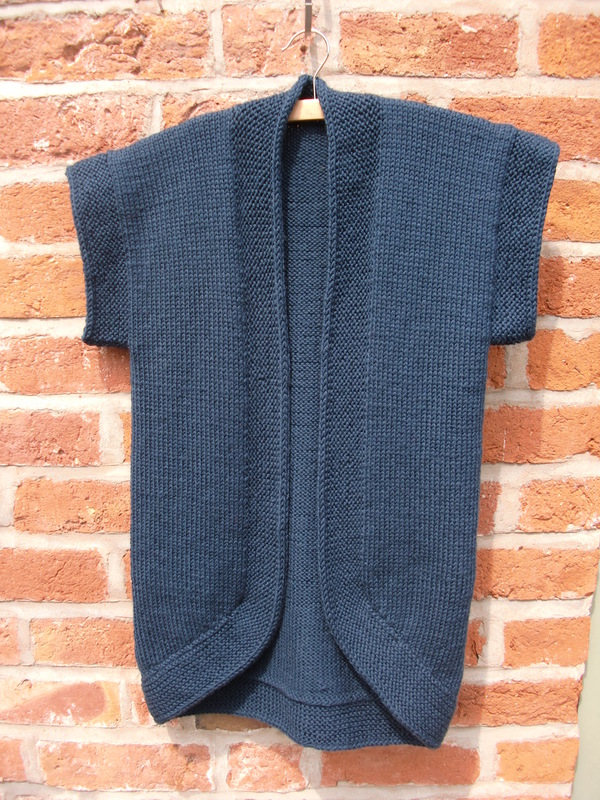 As I have mentioned previously I used this cardigan to practice knitting in continental style. Initially it was driving me crazy as it seemed such a clumsy way of knitting. The good thing is that as I went along it became more and more natural and it has come the point where I really quite enjoy knitting this way. 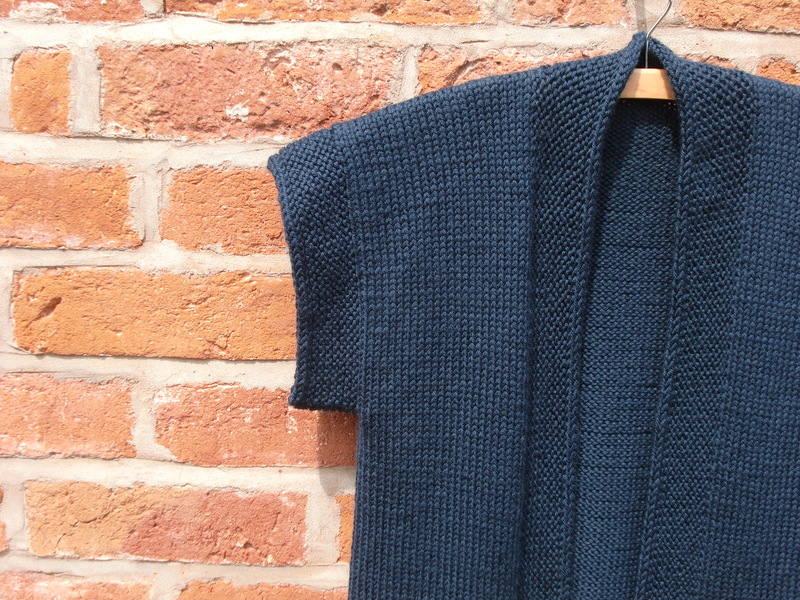 It has taken me about six weeks to make this cardigan as I managed to mess up one of the shoulder seams and knitted and ripped out the front band twice. Patience is a virtue and all that! I’m all done now, although I’m still not sure I love the job that I have done on picking up stitches on the lower corners, but I am done! I knitted the Abalone cardigan using Debbie Bliss Cashmerino Aran….if you are planning on using it yourself, be warned, a lot of dye came out in the wash!! Looked like I’d thrown a dozen blue loo tables in a bucket! 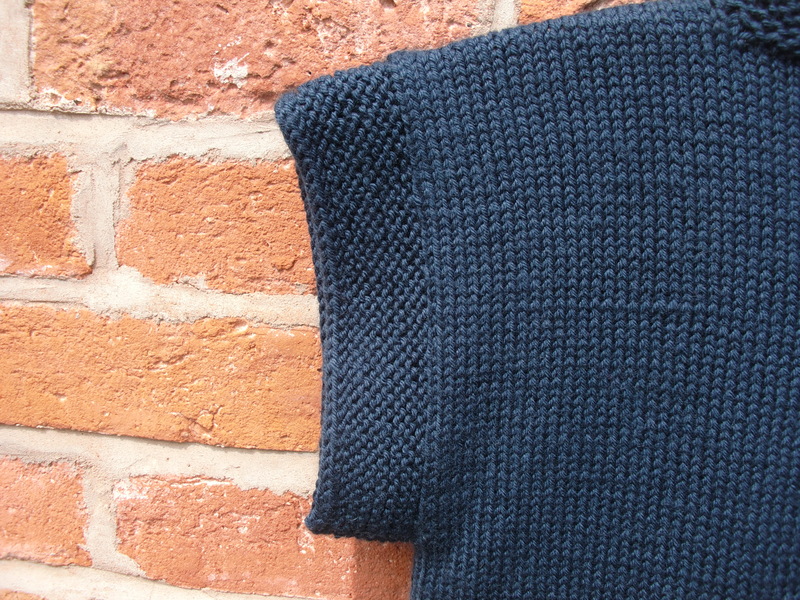 It’s not a quick way to bind off, but it is easy to do and gives a really nice finish that I am pleased with. Are you a knitting perfectionist? Do you keep going on something until it is just right? Or like me do you give it a good go, but eventually lose patience and hope that nobody will notice the errors that you have made along the way? It looks great! That color should go with everything too. I am a perfectionist usually. There are times when I’ll let something I’m not quite happy with through, but usually I prefer to rip back and fix it.